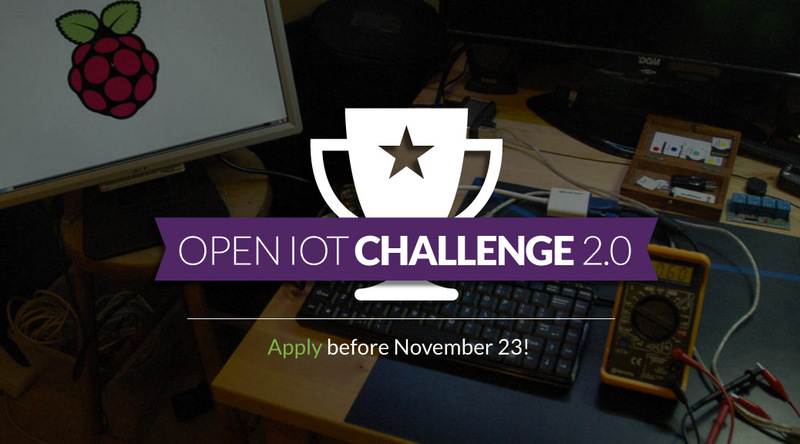 I am really excited that we are having a second edition of the Open IoT Challenge. Last year, more than 60 teams entered and we ended up with some seriously cool projects being built! I would really like to see integrations of your projects with new kinds of sensors. Measuring temperature and humidity is so mainstream now, is it not? 🙂 How about solutions for health monitoring, using blood pressure monitors, or even EKG? Last year we’ve seen integrations with cars, over OBD-II, and I’m sure there is still a lot to do in that area (how about a solution to help people drive more efficiently by allowing them to compare their gas consumption with others on a given road?). Another interesting idea would be to explore how to improve the User Experience (UX) for IoT, by providing new ways to interact with IoT devices: gesture interactions, sound control (look at e.g. Amazon Alexa), etc. LoRa? Sigfox, anyone? Those wireless technologies definitely get lots of traction these days and I am looking forward to seeing projects that will highlight how they can be combined with existing open source technologies. It would for example be interesting to see teams adding LoRaWAN support in Eclipse Kura. What if you could predict when an event is going to occur by analyzing your IoT data stream? I am hoping that some of you will be using technology like Apache Spark and process IoT Data to extract patterns that can be used to predict when e.g the battery of a device is going to depleted. You probably want to look at things like at the Apache Spark Streaming API, the MLlib machine learning engine, and this code example for doing Apache Spark Streaming with MQTT. You have 10 days left to submit your application, so don’t wait any longer and let us know what you will be building. If your proposal is particularly cool, you will be awarded a $150 gift card that you will be able to use to buy the hardware parts needed for building your project. You can find more details on the challenge on the dedicated web page. Thanks to our sponsors bitreactive, Eurotech, IS2T, Red Hat and Zolertia for supporting the challenge by providing prizes for the winners, as well as access to special offers for all the challengers.